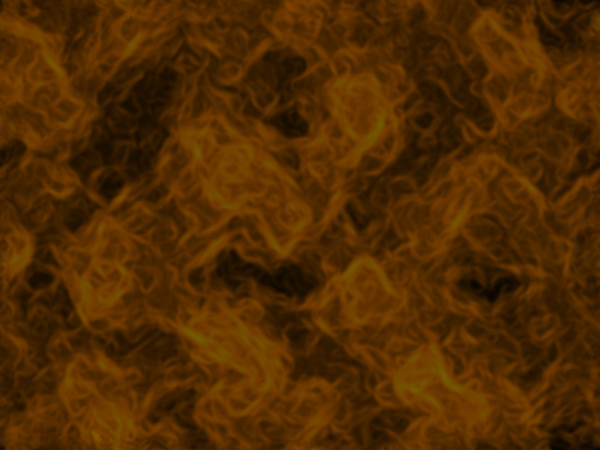 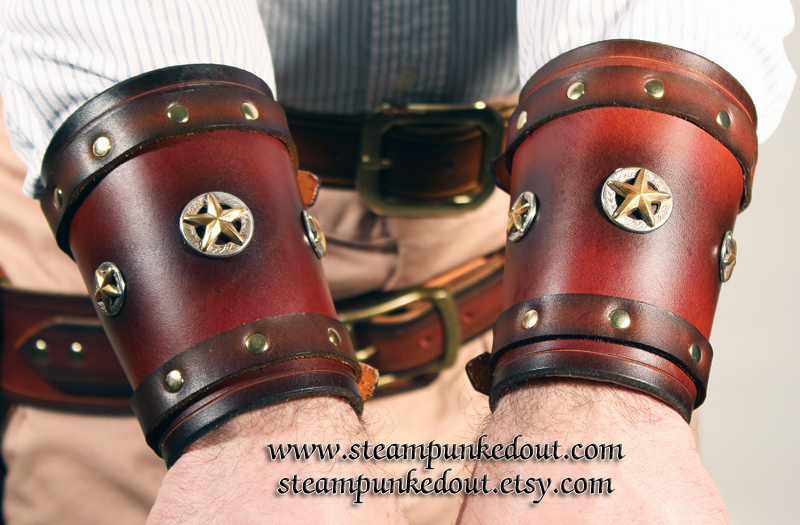 Another American west inspired design. 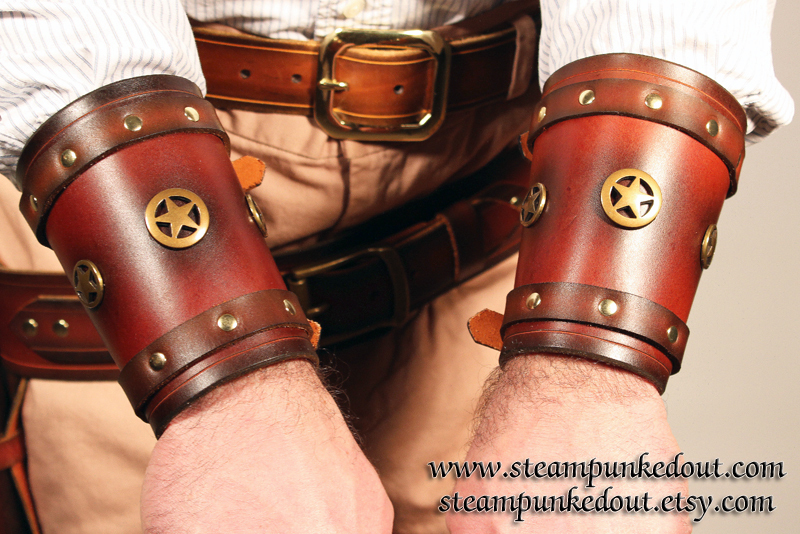 The Cowboy Wrist Cuff was a useful part of of frontier clothing. 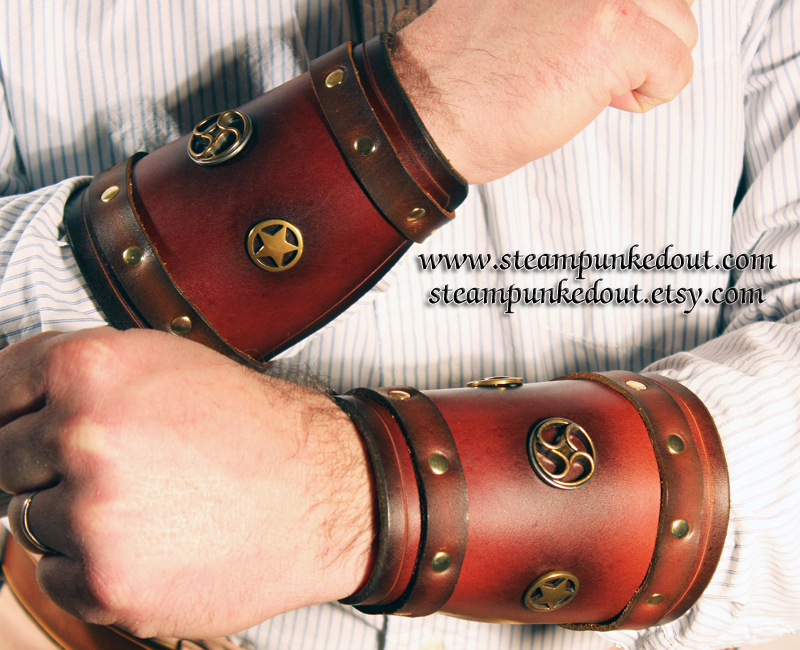 It protected the arm from rope burns, branding irons, and other hazards to the flesh of a working man (or woman). 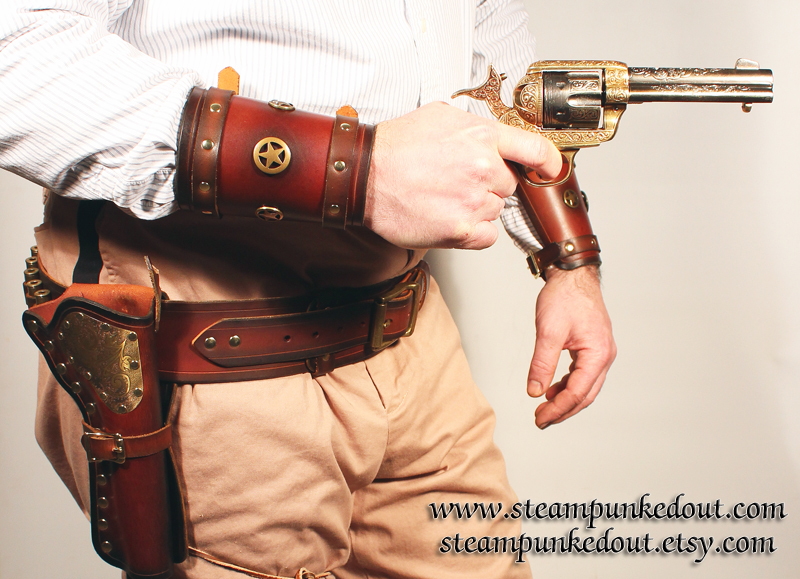 It also reigns in loose shirt sleeves, protecting them from damage, as well as keeping them out of the way for a quick draw of the pistol when trouble comes. 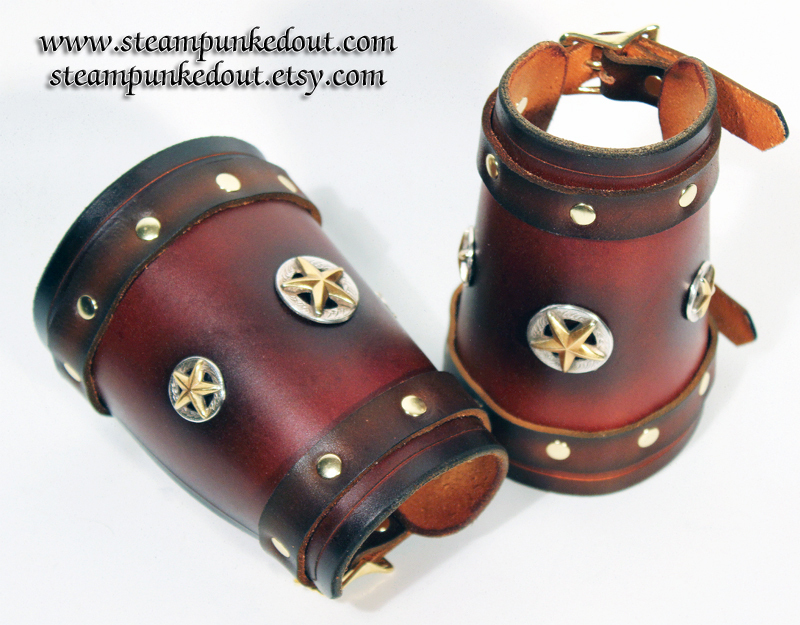 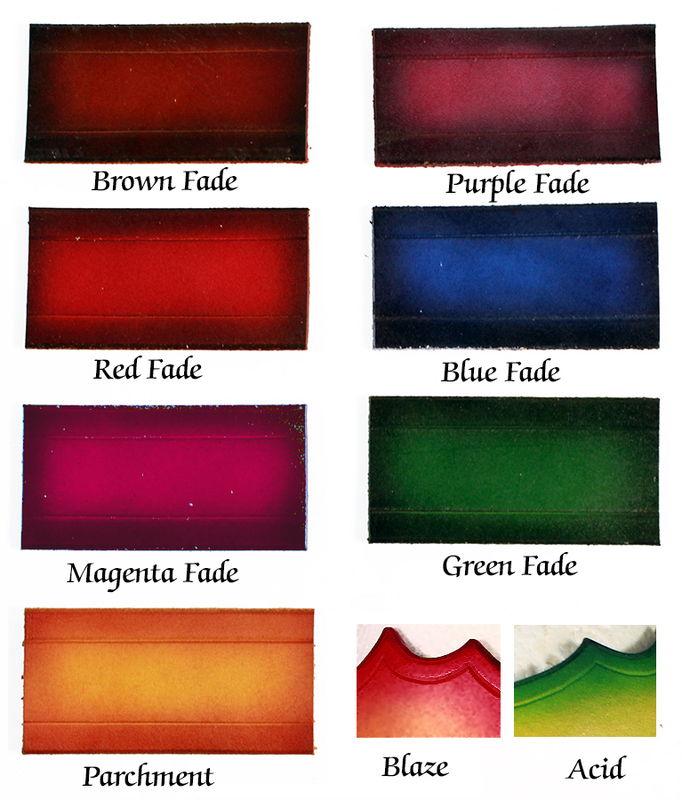 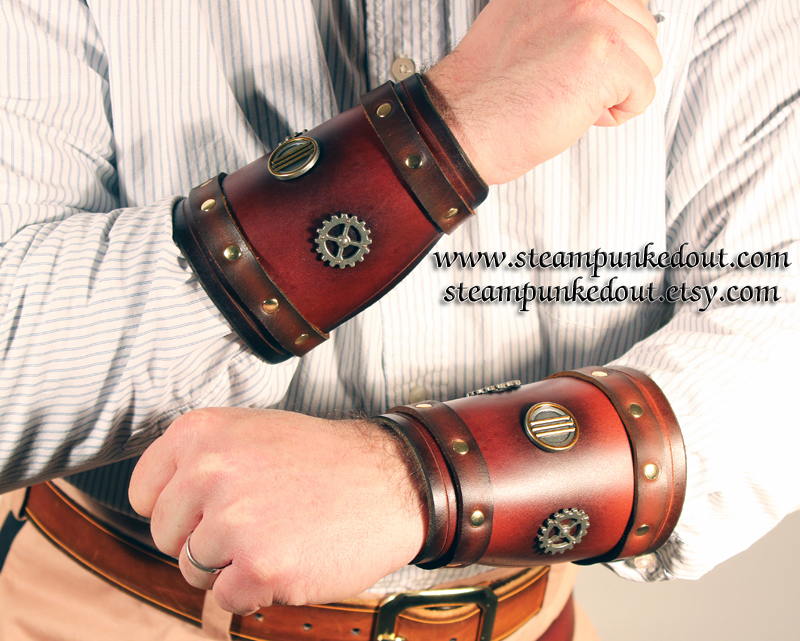 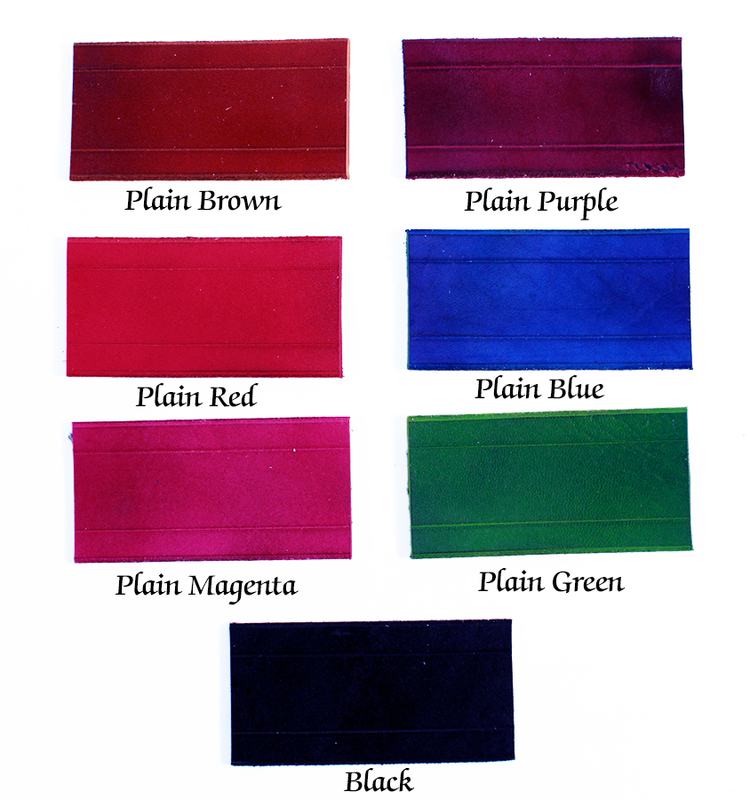 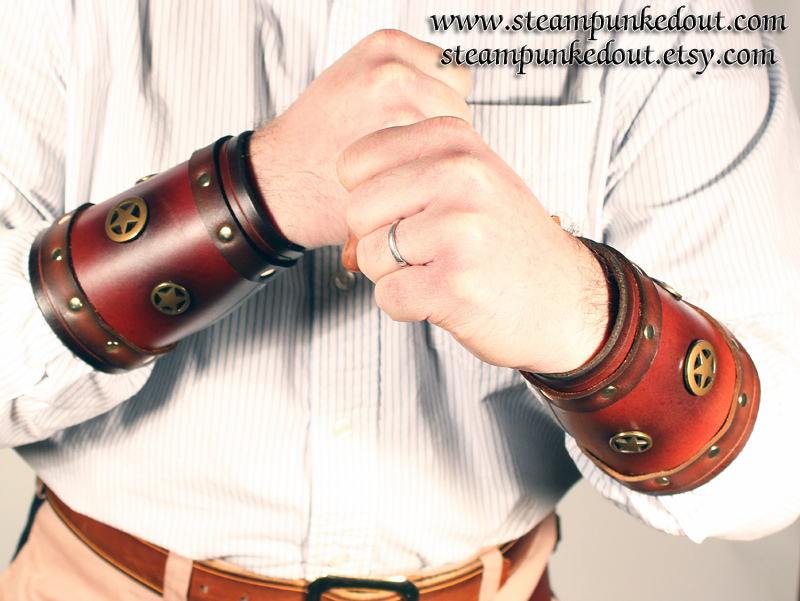 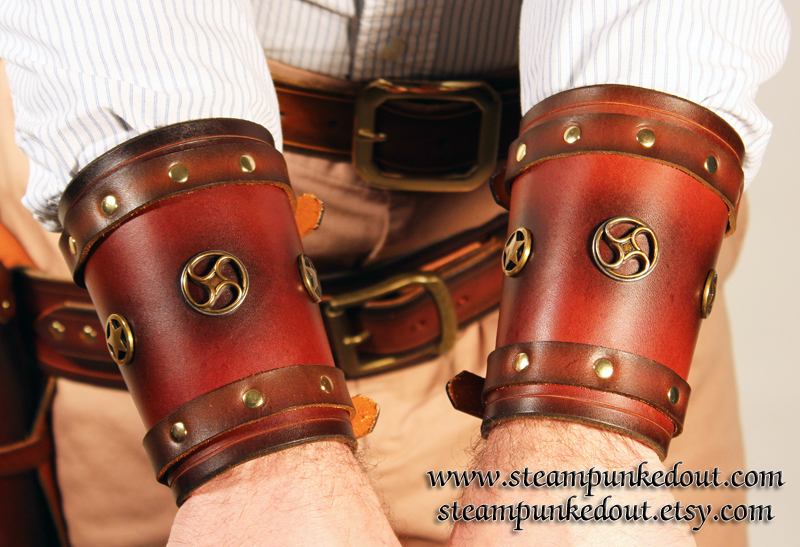 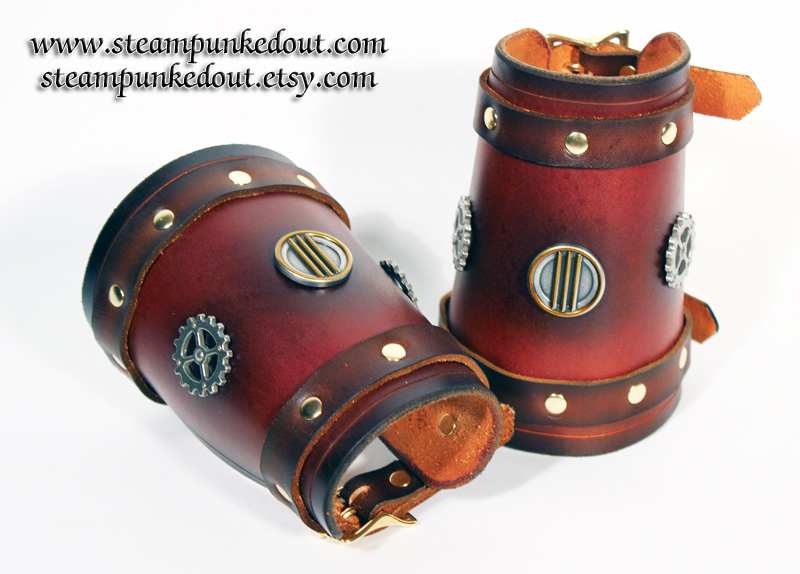 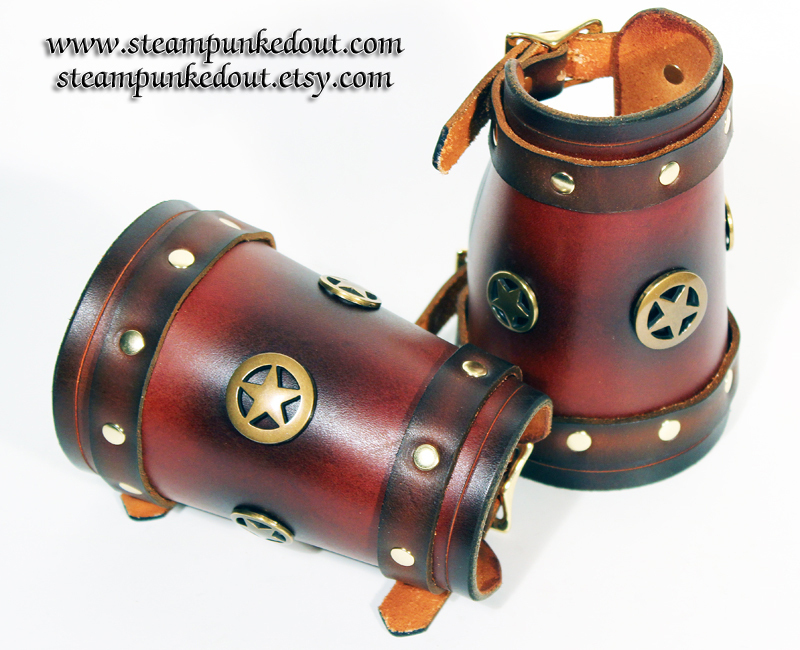 These cuffs are made of 8-9 oz leather, and are dyed in choice of color. 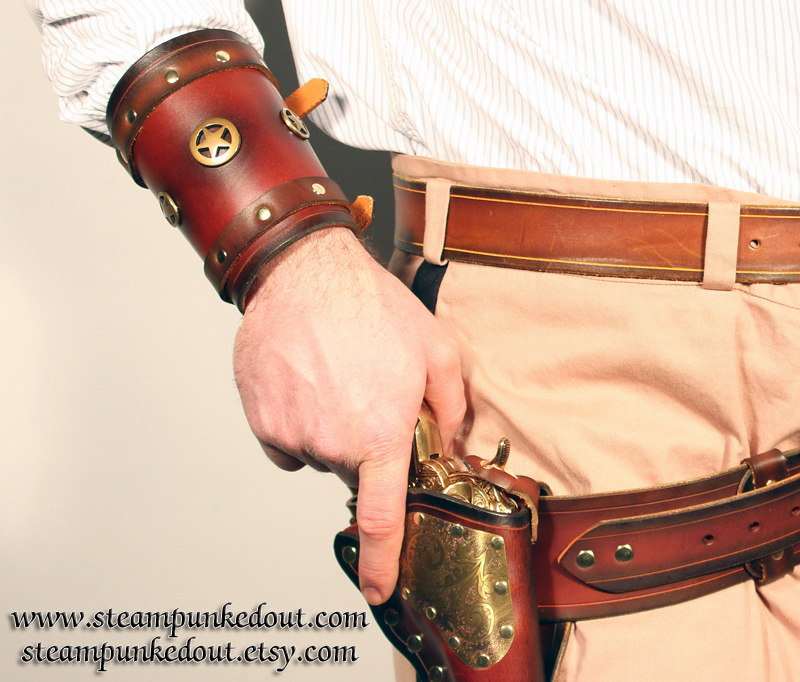 It has 2 buckles to hold it closed instead of the traditional lacings, which are much harder to tied without help. 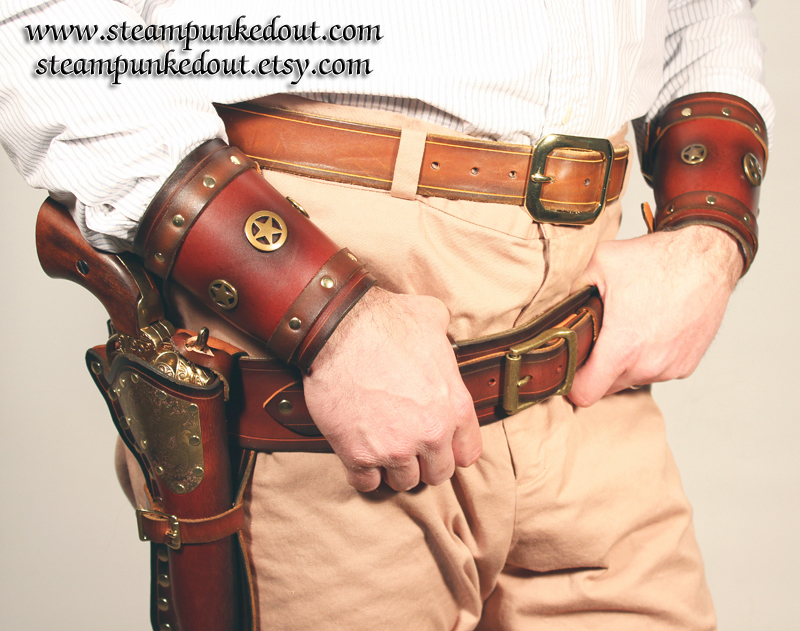 Buckles and riveted are available in brass or silver color. 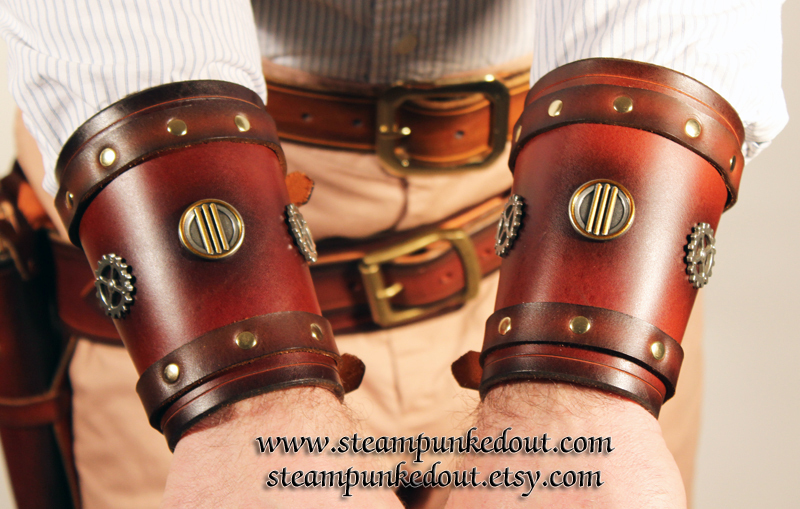 There are 3 decorative concho's on each bracer, a variety of which are shown in the photos above. 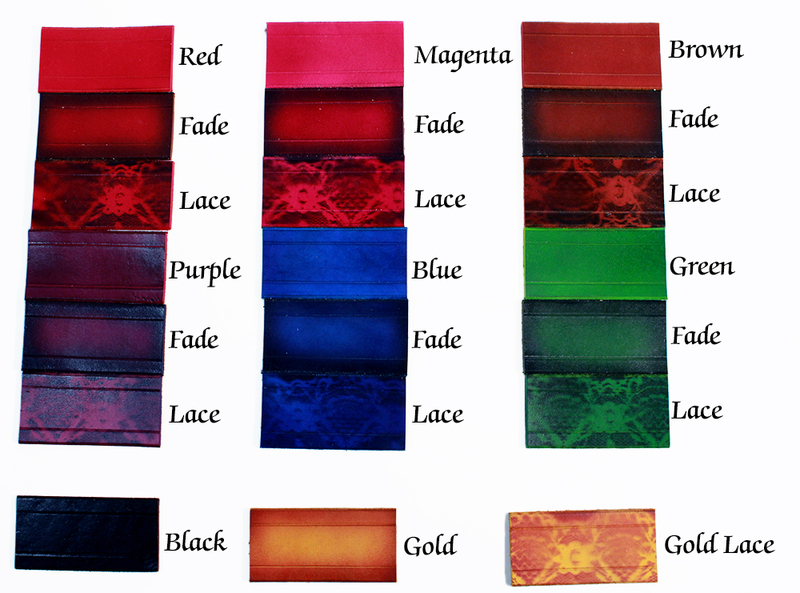 Choose the combination you desire from the drop downs. 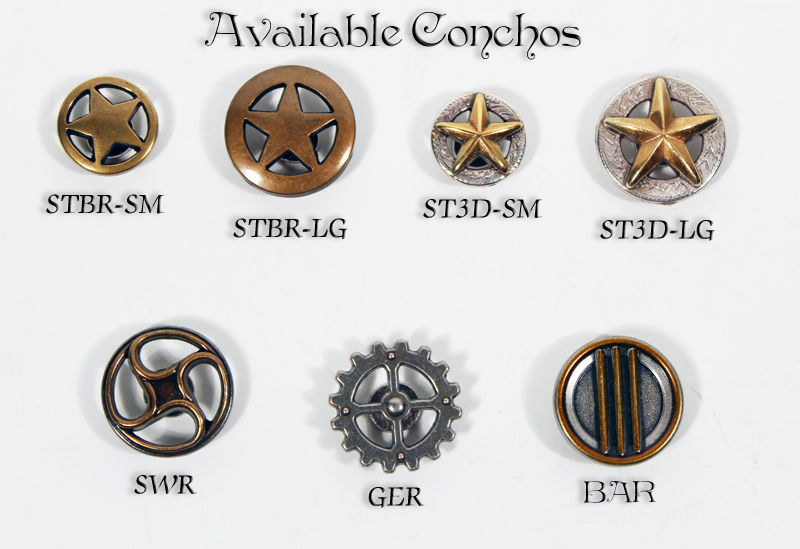 The center concho can be different from the concho's on each side to allow a variety of combinations. 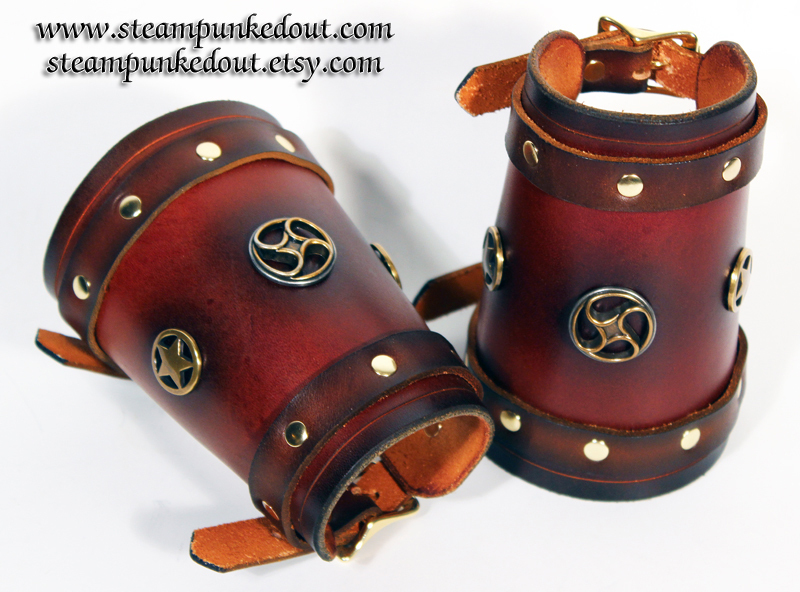 Cuffs are sold as a set of 2.